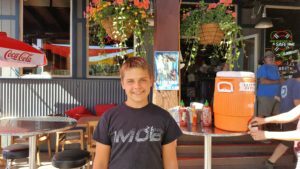 We started OIT in May 2013, which happened to be the busiest summer for Andrew, who was a 15 year old, three-sport high school athlete. His summer was already full of baseball practices and games, football practices, workouts and camps, basketball offseason training and camps and drivers ed class. The planning for his twice a day dosing with a rest time of 1 hour prior and 2 hours after dosing was crazy. We had a separate calendar JUST for his dosing schedule. There were weeks when we had to plan and adjust his dosing times days in advance to accommodate a baseball tournament that weekend or an early morning workout. Many weekends, we woke up at 3am, so he could eat a snack, dose and give himself the 2 hour post-dose window of no activity. For the most part, OIT went with only a few minor hiccups for Andrew. However, if there was ever a concern or question, Dr. Love or his staff were always available and so helpful – no matter the time or day. It’s true that OIT doctors are the very best of the best!! A risk worth taking! Andrew graduated OIT in October 2013. His maintenance has been uneventful, but his life since has been anything but! OIT has allowed him so much freedom. He has been able to experience things in a way he never could have before. His high school football team has played in the state championship game all four years of his high school career, but prior to OIT, he would not have been safe riding hours on a bus with 100 teammates eating all sorts of peanut snacks. He spent one summer traveling with a baseball team across many states and playing the sport he loves in many peanut-filled stadiums. 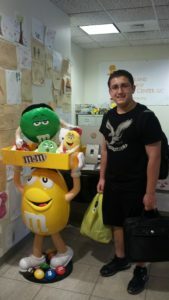 And in August 2016, he will move into a college dorm room to begin pursuing his dream of eventually becoming a doctor. Sure, these are experiences that he could have had pre-OIT, but we would have followed closely, took numerous precautions and hovered to ensure his safety. Instead, we went separately and enjoyed watching him from a distance have these “normal” experiences with his peers. Beyond the freedom and experiences that OIT has provided, it has also given him great confidence. The kids that go through OIT are some of the bravest people out there, in my opinion. OIT is scary. 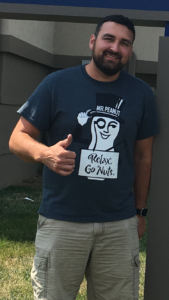 I can only imagine after watching my son hold that deadly peanut in his hand while mustering up the courage to put it in his mouth, the incredible amount of courage it required. 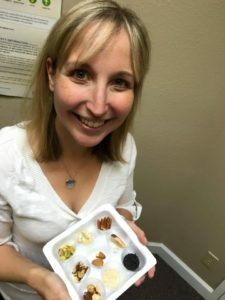 As a parent,making that decision to allow our child to ingest something that we strictly avoided for years because we knew it could kill him was absolutely terrifying, but honestly, so was living with an anaphylactic food allergy. Birthdays parties, holidays, eating anywhere outside the safety of our home and so many other everyday experiences were often terrifying. So while the initial thought of OIT was terrifying, I can say, without a doubt, OIT has been worth every tear shed prior to that stressful Day 1, every penny spent and every mile traveled. It was and is a risk worth taking. I called my allergist immediately, he was always there for me, he is highly regarded, and he is against OIT. He told me that a child had died from it, and that was it – no OIT (Note: this was untrue, no one has died from OIT). We moved to Idaho and I passed over the OIT doctor for a more “responsible” allergist. I was also looking at high school coming at me like a train that wouldn’t stop – it scared me more than Kinder. 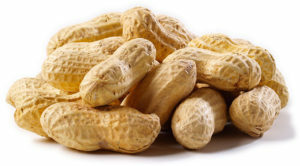 I saw a link to Private Practice OIT and couldn’t believe it – these tiny little guys eating at 5 Guys, smiling proudly with peanuts?!? There is hope? I surely didn’t think so for my son, he is too severe, he reacts to traces, has huge (silver dollar) Skin Prick Tests, they didn’t even give him a blood test because of his past reactions. I went temporarily insane for five weeks, studied day and night, and found OIT 101. I was all set to drive 5 hours each direction for a doctor on the Desensitization Directory, forgetting that I passed over the local OIT doctor. I calmed down and had Liseetsa vet Dr. Stephen Fritz and he is only 6.5 miles away!! 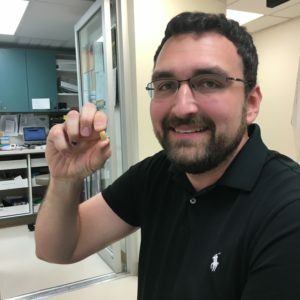 Then Nicolas shocked us all by completing OIT in 5 office visits. He is a year into maintenance and I still can’t believe it, it is so surreal. We went to the lake yesterday, where I took this picture. It was the end of the day and we were tired, but it tells our story. Last year he couldn’t eat at the Marina or Ice Cream Alley, this year we don’t fear them. 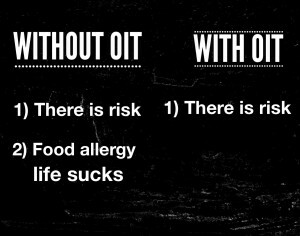 OIT is a life altering treatment, I only wish I had researched it earlier. He starts High School next month and we now see freedom around every corner, not peanut.